Please see the Calendar or Facebook events for full event details. Outdoor Sports Night: Every Friday, 6:00 pm - 9:30pm @ Rahn Athletic Park, 4440 Nicols Rd, Eagan, MN 55122 (map). I think we can now safely say that spring is here to stay, so come on out and play some ultimate Frisbee, sand volleyball, and soccer! Anyone ages 18-39 is welcome to join us for some friendly competition followed by food, drinks, and fellowship at a local restaurant to meet new people and make lasting friends! Hope to see you there! 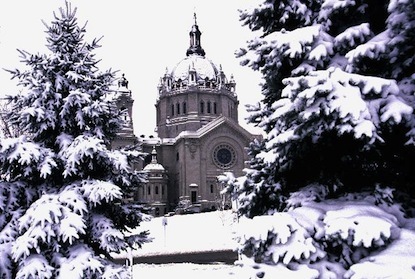 Service Event Coffee and Donuts: Every 3rd Sunday of the month, Sunday January 20th, 11:00 am - 12:30pm @ Cathedral of Saint Paul, 239 Selby Ave, Saint Paul, Minnesota 55102 (map). Come down to Hayden Hall on the 3rd Sunday of each month to help serve coffee and donuts to the parishioners. It’s an easy and great way to share in fellowship while serving the community. Just come downstairs to Hayden Hall immediately after the 10 am Mass is finished. 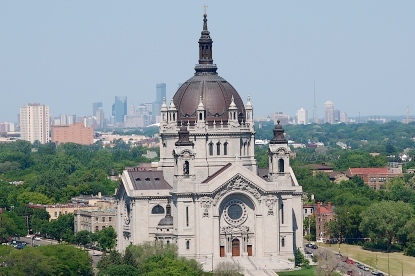 Easter Daily Mass and Dinner: Wednesday, April 24, 2019 at 5:15 PM @ Cathedral of Saint Paul, 239 Selby Ave, Saint Paul, Minnesota 55102 (map). 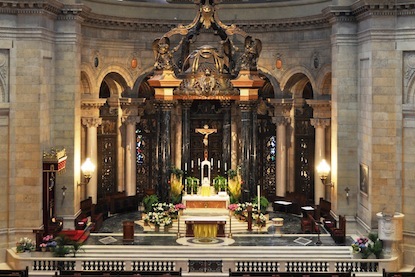 Join the Cathedral Young Adults for 5:15 pm daily Mass at the Cathedral. After, we will head over to Boca Chica for dinner. If you can’t make it to Mass, feel free to join us for dinner at 6:00. If you are planning on coming for dinner, please respond as “going” to the Facebook event so we can make an accurate reservation. *They have a parking lot on site. 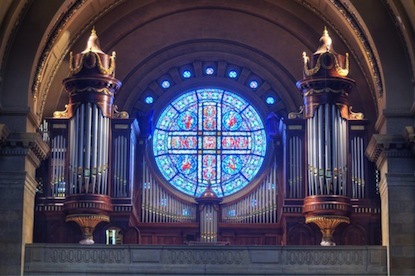 Spring Social/ DJ Dance: Saturday, April 27, 2019 at 6:30 PM @ Cathedral of Saint Paul, 239 Selby Ave, Saint Paul, Minnesota 55102 (map). The Cathedral Young Adults are hosting a spring social to celebrate the beginning of the Easter season. The social will be held in Hayden Hall in the basement of the Cathedral. The social will feature a DJ dance, food and games. All ages are welcome so bring the whole family! There will be something for everyone! The cost of the event is $8 per person and $22 per family. 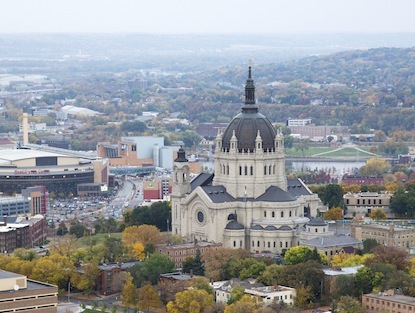 This will help to cover the cost of the event and help the Cathedral Young Adults plan future events. .
Service Event ~ Mary's Place: Wednesday, May 1st, 6:30 pm - 8:30pm @ Mary's Place, 401 North 7th Street, Minneapolis, MN 55405 (map). Join the Cathedral Young Adults at Mary’s Place to supervise and play with the children in their indoor playground. There is also an area for children to do crafts or coloring. If you have any craft supplies, coloring books/crayons, playing cards etc. you would like to bring and do with the children that would be welcomed. We’ll meet in the lobby at 6:30 pm. Mary’s Place offers transitional apartments for homeless families with children. The building was named after and dedicated to the Blessed Mother Mary. This beautiful complex was born out of love, compassion, and concern for women and children in poverty. Theology on Tap: Theology on Tap is a 6-week speaker series held twice a year, once during the winter and once during the summer. Topics focus on faith and contemporary issues that directly affect the lives of young adults. The talk is free, but all are encouraged to support our generous host. All young adults ages 18-39 are welcome to come join us as we mix good beer with better knowledge! Come Join us at our new location: Crooked Pint (Maplewood, MN) 1734 Adolphus Street, Maplewood, Minnesota 55117(map).